Spring has arrived and it’s time to start thinking about those cocktail and dinner parties we’re all going to be hosting and attending! And what better way to get prepared for them then to indulge with a great bottle of wine? I sat down with Douglas Kahle who spoke on behalf of Michael David Vineyards to shed some light on the newly released 7 Deadly Zins Old Vine Zinfandel, which is available in the LCBO Vintages section across Ontario. The witty packaging and clever marketing of the bottle are probably one of my favourites in a very long time. But don’t let its exterior fool you; “Our wine is fruit forward and approachable. The 2009, 2010 and future vintages offer consistency and quality” said Douglas. Using old vine grapes from seven different vineyards in the Lodi region of California, this wine has a something for everyone from the wine connoisseur to the first time red wine drinker. Smooth and almost smoky, this wine offers hints of vanilla, black cherry and spice. It’s an easy drinking glass of red but is also a great option if you’re looking for something a little more complex. The medium body and full mouth feel makes it a perfect pair for heartier meals or enjoyed with a decadent dessert. Or if you’re like me, an after work glass of wine that soothes your woes and leaves you sinfully satisfied. 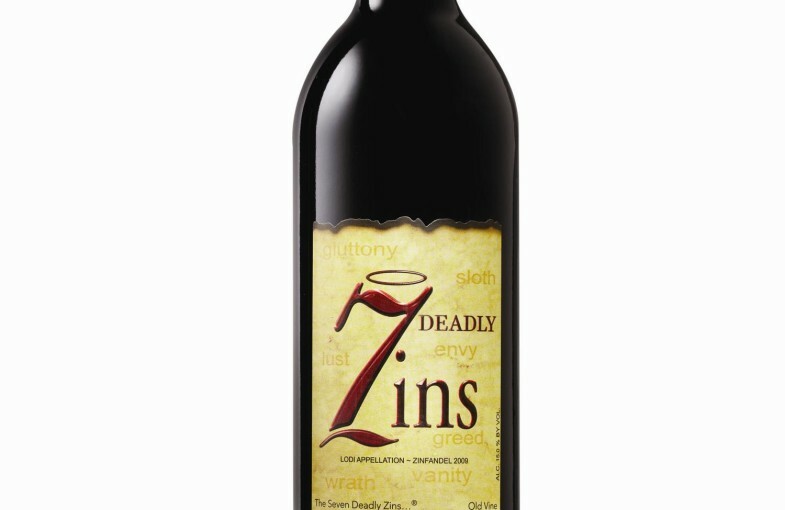 Check out your nearest LCBO availability of 7 Deadly Zins (Vintages #59311).